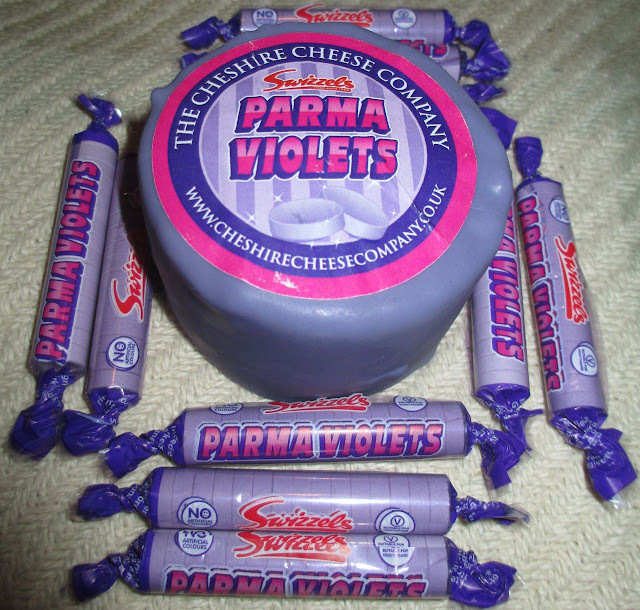 Swizzles makers of Parma Violets, have teamed up with The Cheshire Cheese Company. It doesn’t sound like two brands that would ordinarily go together, but this means we now have Parma Violet Cheese. I needed a minute for that to sink in. 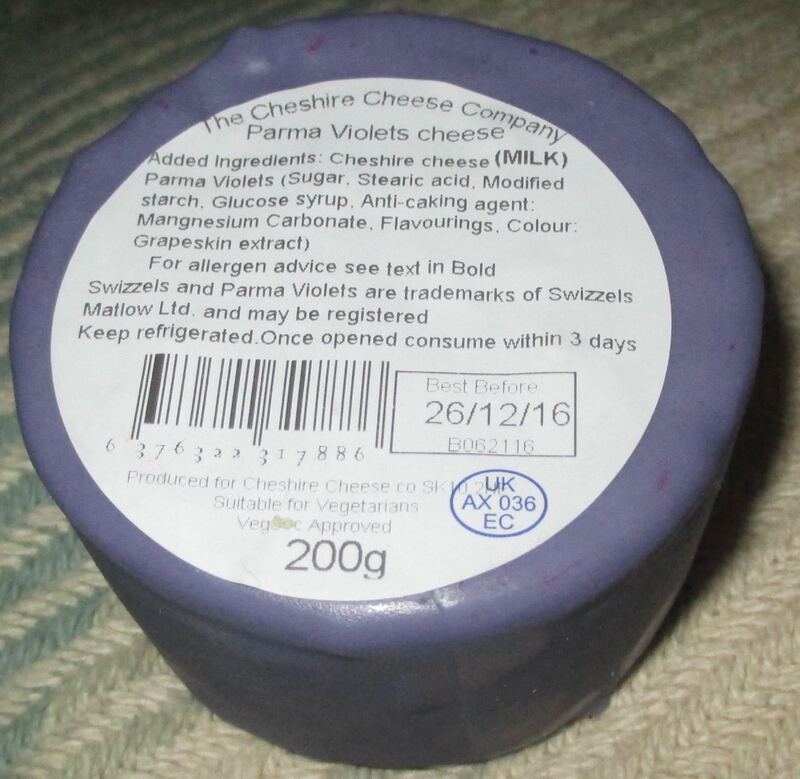 It is the 70th Anniversary of Parma Violets, and to celebrate, they’ve produced a cheese. There were probably a few different items they could have come up with, a Parma Violet cake would have been nice, but somehow cheese made its way to the top of the list! Parma Violets are the violet flavoured purple sweets that taste rather floral. The new cheese from The Cheshire Cheese Company comes in a purple wax, and looks rather like a giant Parma Violet. As it happens I love cheese, and I like Parma Violets, so what could go wrong. I took the wax off the cheese, and found the violet cheese underneath. It was purple, of course it was purple, what other colour would it be. I cut myself a chunk and gave it the taste test. Now my initial reaction was not great. The overwhelming sweet floral taste of violet, mixed with cheese, just took my taste buds by surprise. I wasn’t sure I could eat any more, it is such a strong fragrant flavour. 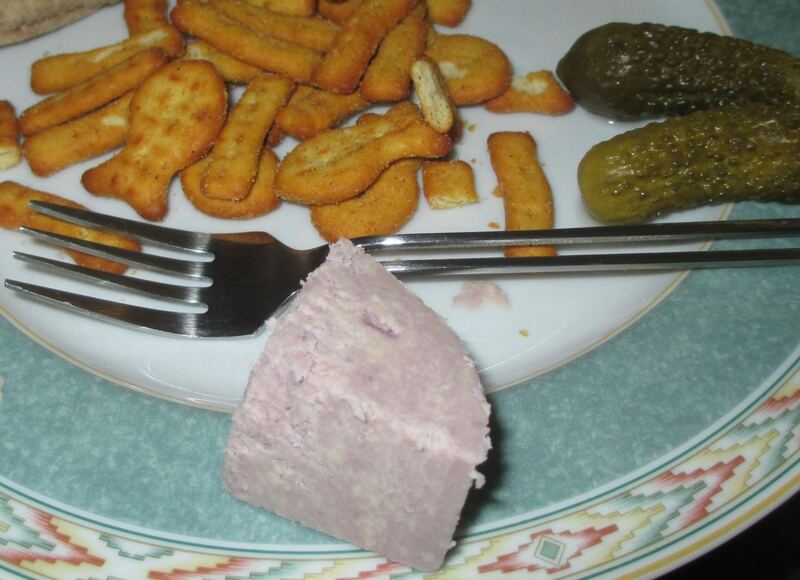 I pushed myself for a second taste, and as I was expecting the flavour shock, it seemed a whole lot more palatable. Yes it is very sweet, yes it was weird, and yes it tasted of violets. This may have a bit of a marmite effect on people, my mum enjoyed the cheese but Spectre wouldn't touch it with a barge pole! I think this cheese has a place in the novelty market, it would be great to surprise friends with a piece of this on a shared cheeseboard. I’m not sure I’d buy it just for myself though!